As is the advocacy for freedom of expression and information, and journalists’ rights, the study and update on the impunity related to crimes against journalists is another core activity of FF. 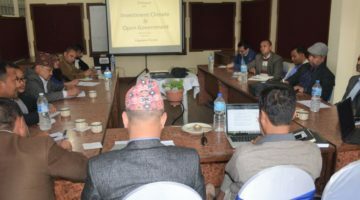 In this regard, preparation of study report and a documentary on the media persons killed and disappeared during two decades from 1996 to 2016 was a recent activity. Around these issues and updates, FF has reached a family member of a journalist who was killed during the insurgency time and taken interview about the family tribulation, struggle for justice and others. Do you remember the incident? I was 11 years old when my father was killed by the security forces. I remember everything that happened that day. It was quite unexpected. I met him one month before his death. The security officials had already threatened us that they were going to kill my father. The army visited our home and took my father’s photos for the identification. One day suddenly my mother got call from them and the same night we were handed a dead boy of wrapped in a black plastic. Inside, it was my father dead– killed excruciatingly. There were three deep cuts in his chest and his toe was fractured. I can never forget that horrible night. What was the reason behind that brutal incident? Till now we have not got any answer from the transitional justice body, so we cannot tell exactly what the reason behind his killing. Nevertheless, at the time of insurgency, he was labeled as a rebellion Maoist, but actually he was a journalist. He used to write in the Swadhin Sambaad, Janadisha daily and other newspapers. He also was a lecturer and was about to be the Tribhuwan University gold medalist. He was killed not because he was a Maoist or he was carrying a weapon. Rather he was killed because he was an intellectual, vocal person who used to speak his mind. He was raising his voice through different media that didn’t favor the then government. How are you and your family coping up with the loss of your father? We are in post-traumatic phase because we feel very difficult to relate it with people some time because of the post conflict social psychology. People regard us as an outsider and treat differently. Psychologically, I still suffer from nightmares. I still feel uncomfortable to express my view. My mother warns me not to express openly what I think because she thinks people may backstab me; they may kill me as they did to my father. Such fear is still haunting my family. It is also because we were backstabbed politically as well. We are facing very traumatic experience of conflict in deed. Do you think the things that happened to you back then still have effect in your present life? Yes. It’s like a festered wound, because in Nepal, politics has taken a different course, thereby ditching conflict-era issues. Government has been selling traumatic stories and experiences with money. They have been trying to provide reparation in money i.e Rs 1 million, which however is a sheer injustice. Social discrimination against us is fueled along with the trauma. Therefore, the incident still anguishes us. What help has been provided by transitional justice bodies to you? 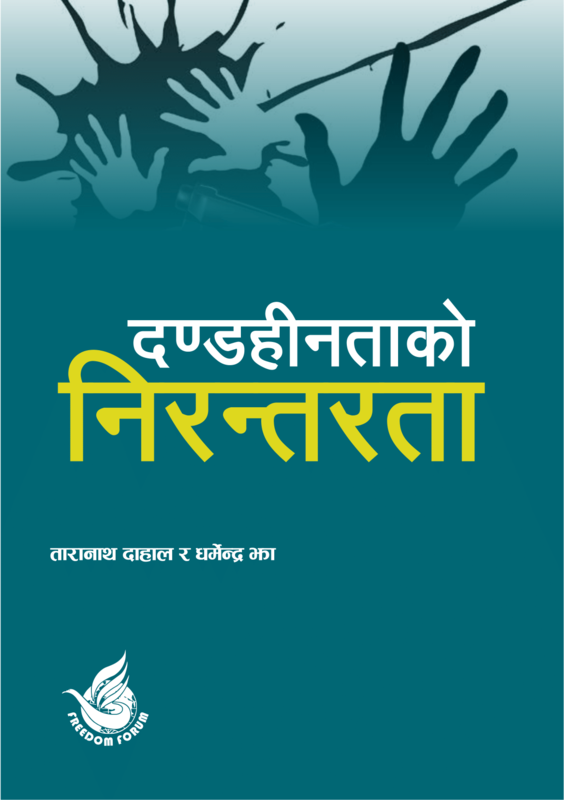 The transitional justice mechanisms- Truth and Reconciliation Commission and Commission on Inquiry of Enforced Disappeared Persons- established to cater justice to the conflict victims have done nothing. Mere distribution of money does not ensure justice. We want to know why our father was killed and who did it. I just want to ask the Commissions- either just kill the victim families or don’t delay the justice and further victimize. My father died once but we are dying every day to know the truth. We want justice as early as possible. Do not take things lightly. Justice should prevail.